Always a great way to start the new year off with some lovely press mentions. 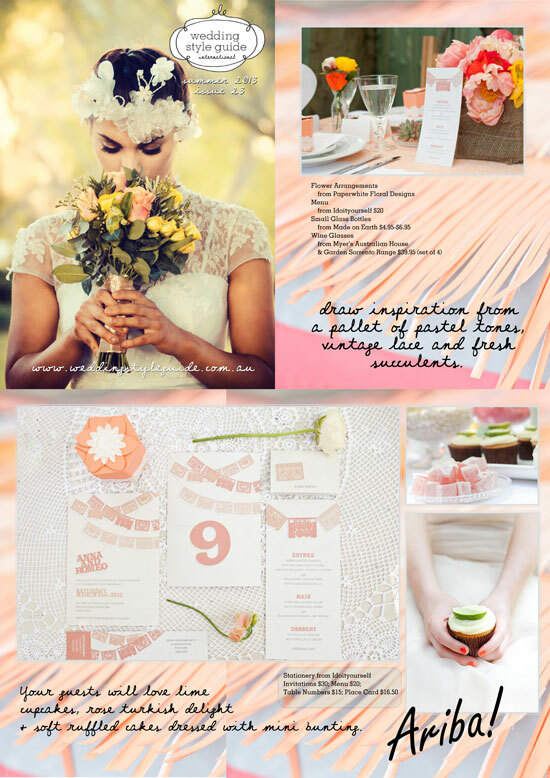 This month our fiesta stationery featured in a shoot for the Wedding Style Guides Summer 2013 issue, which you can find online. 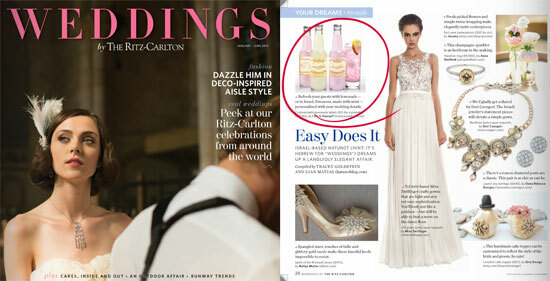 Our lemonade labels got a mention in The Ritz-Carton Weddings Magazine. 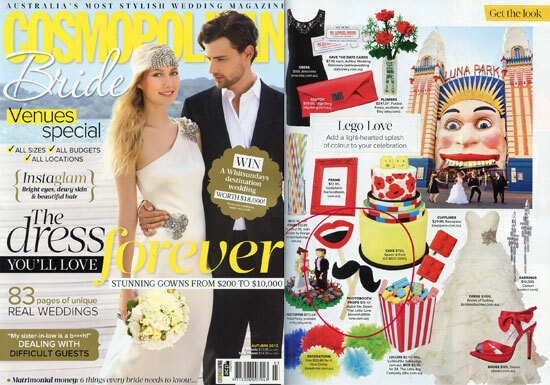 And check out the latest issue of Cosmopolitan Bride (34) for the cutest lego love wedding with our photobooth props featured.